Which is your favourite episode? Why? I have many and it's really hard to choose one, but if I really had to, I'd stick with It´s the End Of the World (As We Know It)...it was just so amazing, shocking and great written...the whole season 2 was great, I think the best. And the second favourite episode for me would be this season finale - Losing My Religion. I don't know about favorite episode, but my favorite season is 2 - It had all my fave characters - George, Izzie, Burke (preston) and Addison. 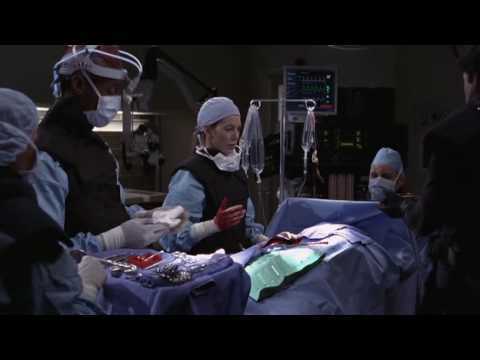 But an episode I found extremely intriguing was the episode George and Izzie have their affair. My Favourite episode is Stairway to Heaven (Season 5, Ep 13). The ending of it is amazing!! i cry every single time i watch it. The song is great too. (Drifting Further Away by Powderfinger). I have many other favourites though- Death and All his friends, Shiny Happy People, A Change is Gonna Come, There's no I in Team. My favourite season though, is definitely season 3. And my new favourite episodes - definitely Sanctuary & Death and all his friends! Season 6 episode 8 "Invest in Love" So sad and sweet!